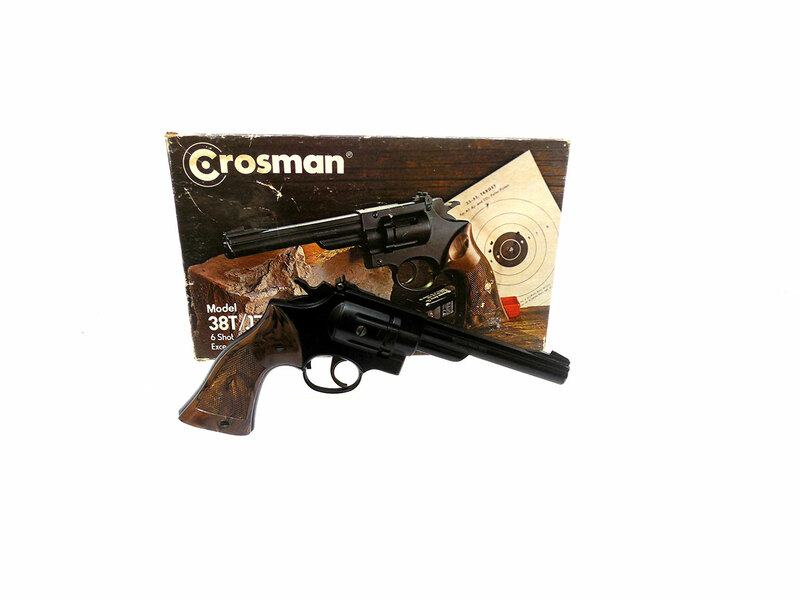 The Crosman 38T is a .177 caliber, 6 shot double action revolver, and is similar to the Crosman 38C Combat, but has a longer 6″ barrel. 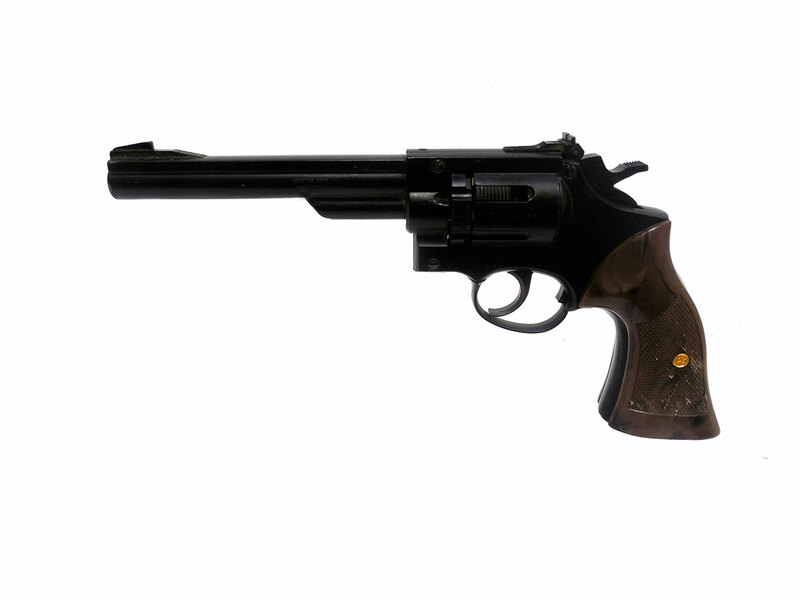 This is the .177 caliber variant manufactured between 1975 and 1985. 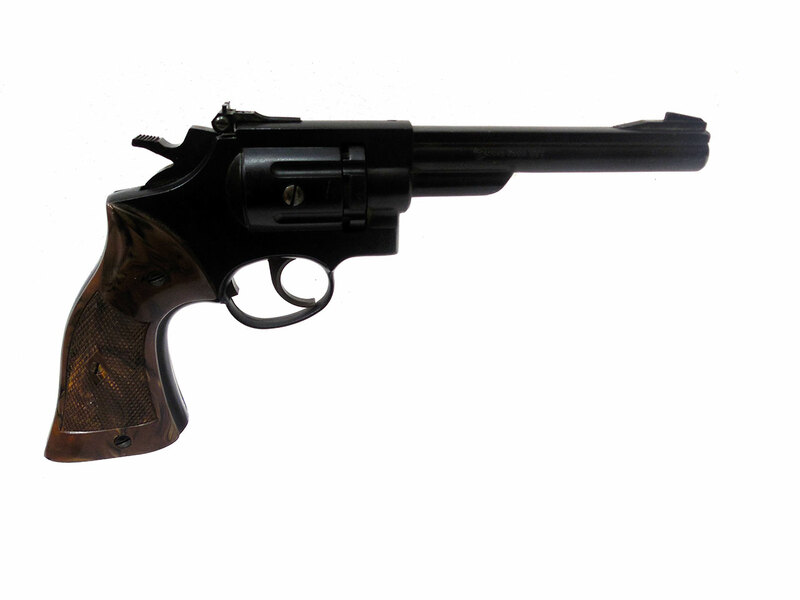 This gun was tested, and leaks. This one includes a box. 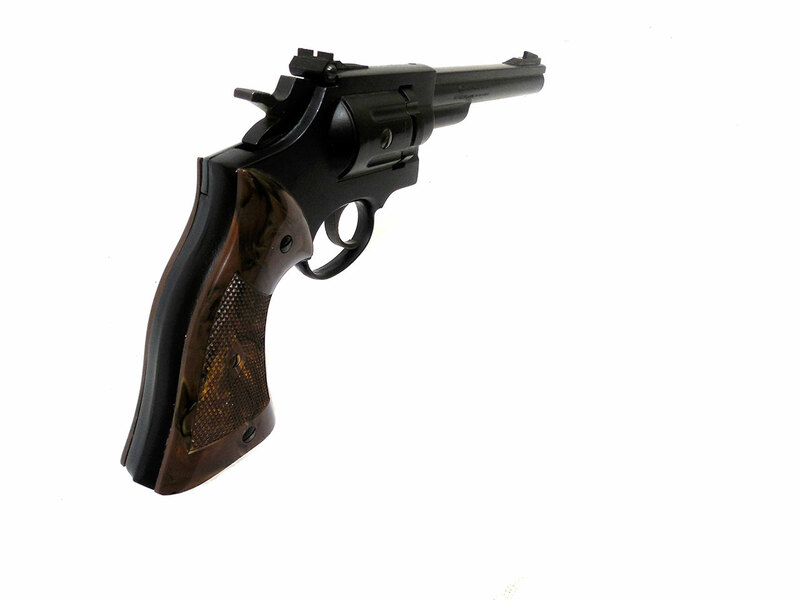 The metal retains about 90% of the original finish, and the grips are in good condition with no cracks or warping.